Have you ever wished your Valrico cosmetic dentist could glue new pearly white covers on your existing teeth as easy as you paint a wall in your house? Guess what? With porcelain veneers, it’s possible. Porcelain veneers are wafer-thin tooth-shaped fronts that are permanently bonded to your natural teeth. Unlike dental crowns, your Valrico dentist does not need to remove tooth structure to place the restoration. If the teeth in question have decay, come see us immediately. Call 813-653-2273 to schedule an appointment as soon as possible. At Five Star Dental Care in Valrico, veneers are used alone and in combination with other cosmetic dental procedures to create complete smile makeovers. Because they can correct cosmetic tooth misalignment in one visit, veneers are sometimes referred to as ‘instant orthodontics’. Skilled Valrico cosmetic dental lab artists create porcelain veneers with the color, reflective properties, and translucency of natural teeth: perfect natural teeth, that is. In addition, porcelain veneers can be made in any size or shape. Are veneers at Five Star Dental Care strong? Porcelain veneers are fabricated out of extremely durable material. If you have questions about whether a veneer or dental crown is the best choice for you, talk to Dr. Jeff Bynum. Dr. Bynum will consider the size and condition of the tooth and its position in the mouth. Some Five Star Dental Care smile makeover clients have veneers they received over 15 years ago. (And they still look terrific!) If properly cared for, veneers can last as long as dental crowns. Are porcelain veneers affordable in Valrico? The cost of cosmetic dental veneers at Five Star Dental Care is competitive with other premium cosmetic dentistry practices in the Valrico area. We use what we believe is the top dental lab to create our client’s veneers and a significant portion of the cost of veneers goes to the lab. 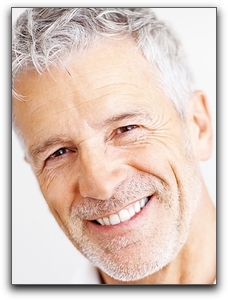 Porcelain veneers are often less expensive in Valrico than crowns and clear braces. For questions about the cost of porcelain veneers, call our office at 813-653-2273. This entry was posted on Friday, February 3rd, 2012 at 12:09 pm	and is filed under Dental Veneers. You can follow any responses to this entry through the RSS 2.0 feed. Both comments and pings are currently closed.